Ronan Halpin initially trained as a sculptor for six years in the NCAD in Dublin, before obtaining an MFA in sculpture at the prestigious Yale School of Art in the US. He subsequently returned to his birthplace in Drogheda to establish a studio and worked as a full-time artist for almost eight years, exhibiting widely both at home and abroad. 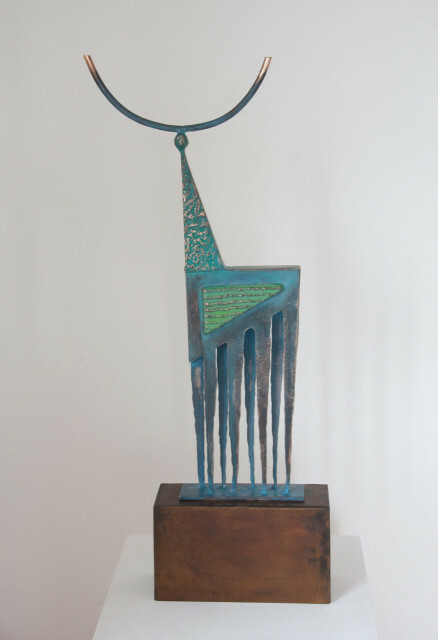 In 1990 he represented Ireland at the Sculpture Biennial in Budapest. In August 1998 Ronan moved with his wife and family to Achill Island where he had been a regular visitor since childhood. He continues to live on the island and explores his environment through his work. Ronan finds inspiration in Celtic myths and in the land and seascapes that surround him. His work is in numerous private collections, including those of US Secretary of State Hillary Clinton, Nobel Laureate Seamus Heaney and former Taoiseach John Bruton.